The egg symbolizes “rebirth” and is often associated with Easter, spring, dawn and creation. In Ukraine, the Pysanky Eggs were considered as expressions of faith and friendship. 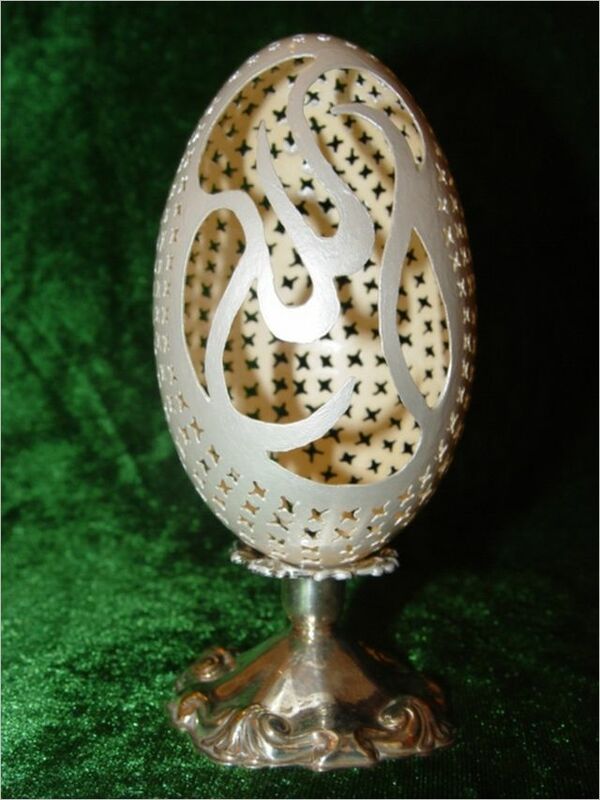 In Medieval Islamic societies Ostrich Eggs symbolized faith and patience. In African societies, Ostrich Eggs were considered as symbols of fertility and purity. The art of egg decoration goes back to early civilizations, when eggs were colored and used as gifts to celebrate the re-birth of life on the earth. Ostrich eggshell with engraved hatched patterns have been found as early as 60,000 years ago at Diepkloof Rock Shelter in South Africa. From ancient times until now, eggs have been decorated in many ways. According to The Provincial Museum of Alberta, egg collecting has been practiced for centuries. At first eggshells were hung in medieval homes for decoration and later, eggs became popular items to collect. Many years before the birth of Christ, the Persians and Egyptians were colouring eggs. The Jews also had a tradition of colouring eggs during the Passover season. In Iran, colored eggs have been part of the Persian New Year celebration of Navroz for over 3,000 years. In Ukraine, the tradition of egg decoration began as early as 988 A.D., long before Christianity came to that country. Though many European immigrant groups brought egg-decorating traditions with them to the Pittsburgh area, none is more intricate and beautiful than pysanky, Ukrainian expressions of faith and friendship. The Pysanky Eggs are one of the most beautiful and intricate pieces of art. In Ming (1368-1644) and Qing (1644-1911) dynasties in China, people had the custom of presenting red eggs as a gift on weddings, birthday parties and child birth celebrations. In France, from the 16th century onwards, it became customary to exchange elaborate surprise Easter Eggs. 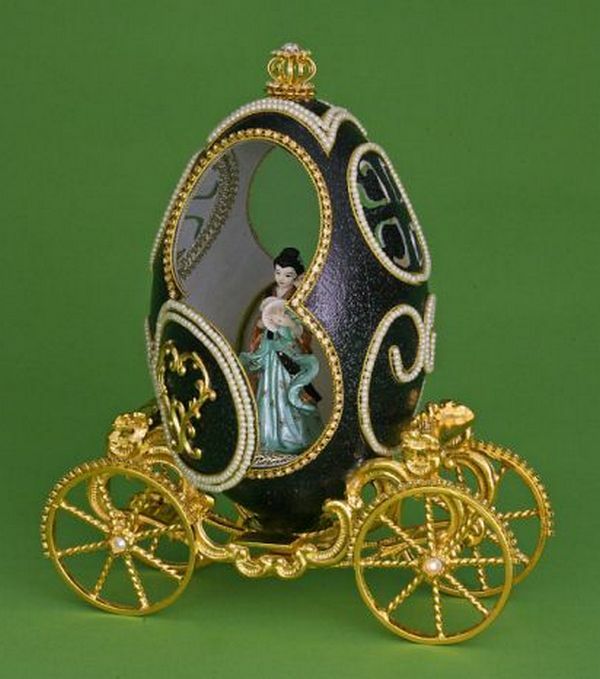 The high point of all time was reached in the fabulous egg-shaped treasures created n 1860s by the imaginative goldsmith of Russia, Peter Carl Fabergé, and his meticulous artists and craftsmen. In 1869 he sold the first pieces to the St. Petersburg Hermitage. Peter Carl Faberge soon became the Court Supplier to the Czars and had the honor of using the family crest of the Romanovs in his company logo. 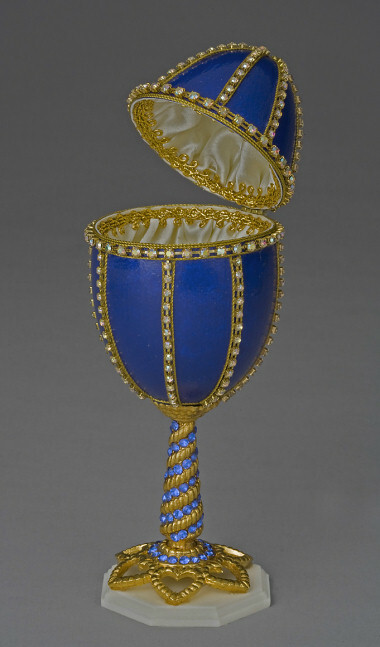 In 1885 Fabergé produced the first Imperial egg. This simple but beautiful egg opened up to reveal a yolk. Inside the yolk was a golden hen and inside the hen was a diamond miniature of the crown and a tiny ruby egg. The egg was a gift to the Czarina Maria. It reminded her of home and each year thereafter, a new egg was commissioned by the Czar and created by Fabergé for the Czarina. 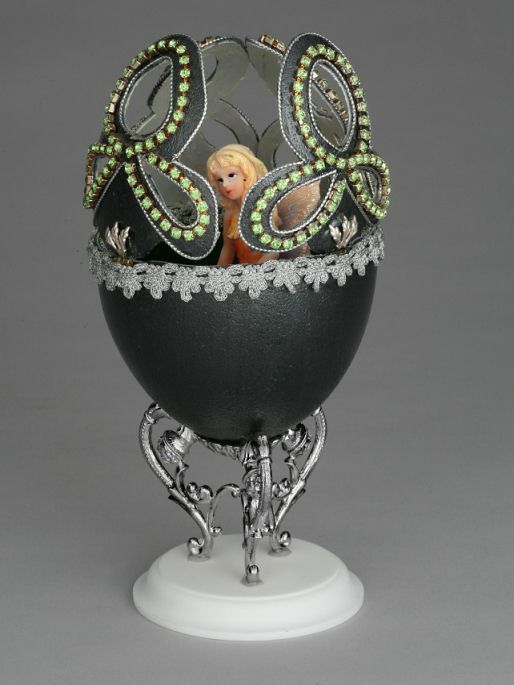 The eggs became elaborately more jeweled, conveyed historical meaning and had a hidden surprise. The Czar gave his wife an egg every year during the Russian Orthodox Easter festival. From 1895 to 1916, his successor, Nicholas II, gave two Easter eggs each year, one to his wife and one to his mother. 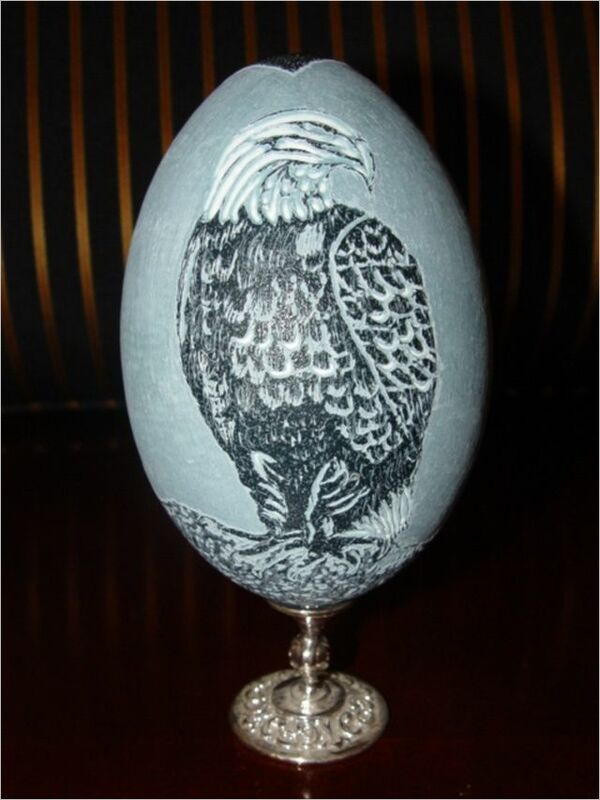 In the modern times, USA and Europe have emerged as important centres where egg art is practiced with great vigour.